Formed in 1966, the Sopwith Camel was the second San Francisco band to be signed by a major record company - Buddha/Kama Sutra - right after Jefferson Airplane and before the Grateful Dead. One of the earliest bands in San Francisco they first appeared in public on February 12, 1966. The Sopwith Camel played the Fillmore, the Avalon, the Matrix, Long Shoremans Hall, and are billed on a dozen or more of the collectible psychedelic posters of 1966 thru 1967. 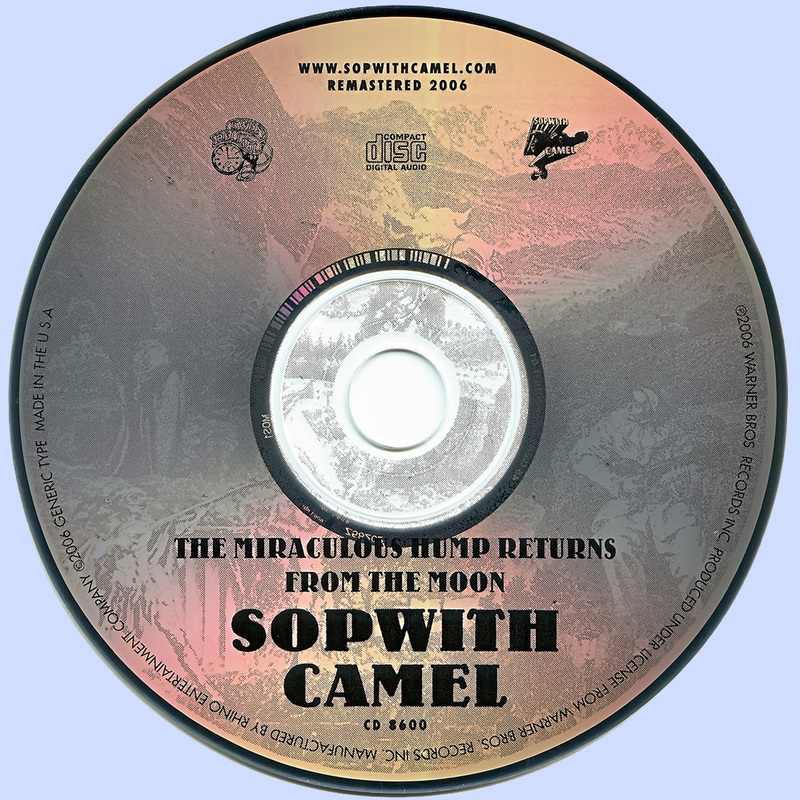 The Camel toured the country, appearing with the Rolling Stones, the Rascals, the Doors, the Turtles, the Who, the Velvet Undergroud, the Beach Boys and, of course, the Lovin' Spoonful, who were produced by Jacobsen as well. In San Francisco, they played with Jefferson Airplane, Big Brother, The Dead, Quicksilver, The Great Society, and so many others. The group reformed in 1971 and recorded one more album to great reviews and signing with Mo Ostin of Warner Bros. Mixing prog-rock, jazz, showtunes, Krautrock and indian classical music, this San Francisco band’s unloved masterpiece sounds like it was recorded only last week. What never fails to amaze me about this record is how it sounds like it was recorded about a week ago, yet it dates from autumn 1973, back when Neil Young’s Time Fades Away and Funkadelic’s Cosmic Slop were the hot new platters that mattered. The mighty Camel’s breakout hit Hello Hello had come out on Kama Sutra way back in winter 1966. They were the first San Francisco band to have a hit, but within six months of getting recognised they imploded. 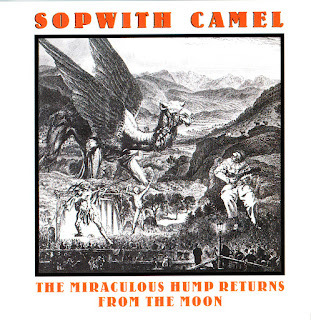 In 1970, the band got back together and The Miraculous Hump Returns From The Moon was their attempt at a comeback. Except, of course, it’s nuts and no one bought it – and then they went on tour and their van caught fire and they lost all their equipment. 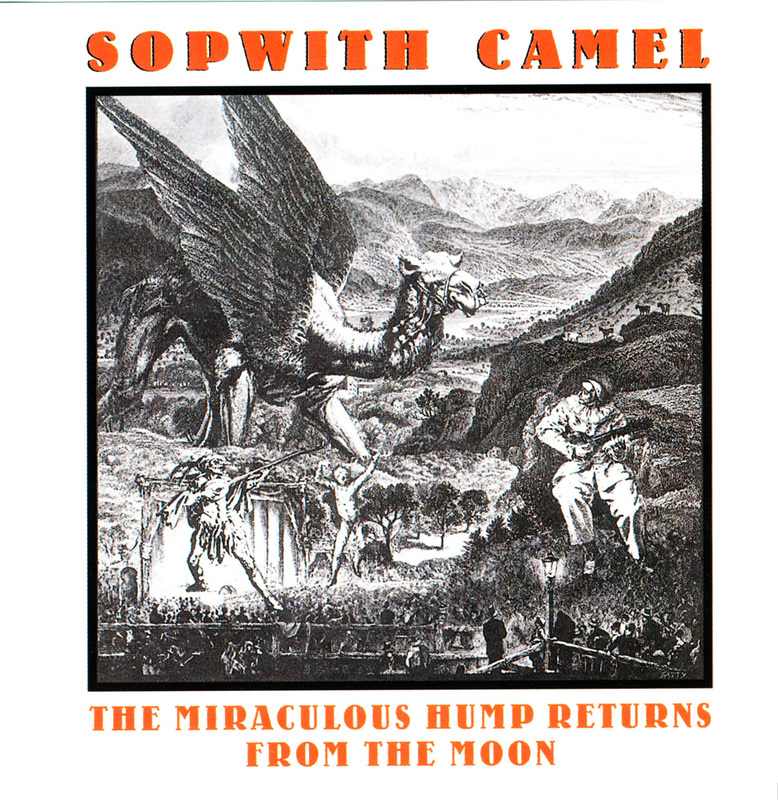 To be fair to them, Sopwith Camel were always more of an art project than an actual band – and that artistic bent is what makes this record such a gem. Taking in elements of FM schmaltz, prog-rock, jazz, showtunes, Krautrock and indian classical music, this is an album that overflows with ideas, but never overwhelms. Orange peel is cooly funk-scented ambient-jazz, Dancin’ Wizard is what Incredible String Band might have sounded like if they’s grown up with sunshine rather than rain, while Coke, Suede and Waterbeds is as lush and indulgent as the title suggests. However, it’s the last track Brief Synthoponia that is most startling. A fantastically stream-lined experimental jam, it manages to cram an awesome breakbeat, sax and synth squalls and some super-skronk hep-cat dynamism into its fifty-three second lifespan. A tiny masterpiece.